Waymo, the self-driving car division that was spun off from Google to become another company under the parent – Alphabet – appears to be doing quite well. A new report from the California Department of Motor Vehicles (DMV) revealed some interesting data about Waymo’s self-driving test statistics. The report shows that Waymo had only 1 disengagement for every 5,000 miles driven in 2016, or 0.2 per thousand miles. In self-driving car terms, a disengagement is when the driver has to take control of the vehicle from autonomous mode. That happens when a self-driving car’s “brain” gets confused and needs human intervention, or when the driver decides that it is safer to take over. That same disengagement figure for 2015 was 5 disengagements per 5,000 miles driven, or 0.8 per thousand miles. That’s a 75% reduction in a year’s time, meaning the disengagements came down by a factor of four since 2015. How are Self-driving Car Disengagements Calculated? The first type of disengagement addresses situations where the autonomous software detects the need for human intervention and ‘hands off’ control to the driver after a visual and audio indication. This happens when self-checks on the autonomous system detect any anomalies with the normal functioning of sensors, readings and so on. This first type of disengagement, called “immediate manual disengagement” has been brought down from 0.64 disengagements per thousand miles, to 0.07 disengagements per thousand miles, a reduction of 89%. The second type of disengagement is a driver decision to take control, and is defined as a situation where the safe operation of the vehicle requires driver control. This typically happens when the test driver feels that other road users are behaving erratically, the ride might be more comfortable under human control, the safety of the vehicle may be at risk and so on. This second type of disengagement has come down from 0.16 disengagements per thousand miles to 0.13 disengagements per thousand miles, a reduction of 19%. While that might not seem like a lot, we need to consider the fact that system-initiated disengagements (the first type) have come down considerably – by 89%, as the report shows. That indicates that the self-driving systems are getting more and more reliable, and more confident of their ability to negotiate new situations, new road conditions and new traffic conditions. Far from being a boring statistic, it shows how much progress has been made in a year’s time. If Waymo can keep bringing down those numbers to a negligible level, that means they’ll be ready to move into new cities with a new set of road and traffic conditions. It’s an arduous task, but we’re talking about putting one and a half ton metallic machines on public roads and expecting them to operate on their own. That’s a constant reminder of how important the safety aspect of self-driving car technology really is. The report from the DMV also showed that a lot more miles were driven in autonomous mode in 2016 than the year before. Waymo vehicles did nearly 636,000 miles last year compared to 425,000 miles the year before, a 50% increase in testing miles. By November 2016, Waymo had completed over 2.3 million miles of autonomous driving. 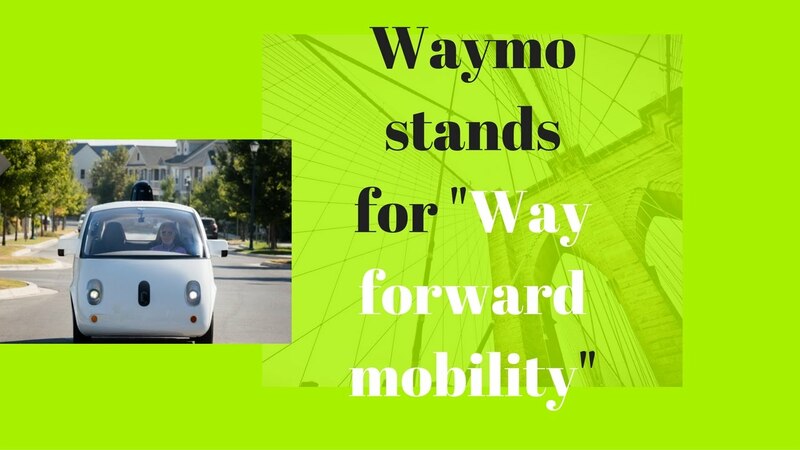 As time progresses these tests will help Waymo gain a tremendous amount of data – data that is critical to the development of autonomous technology as a whole.